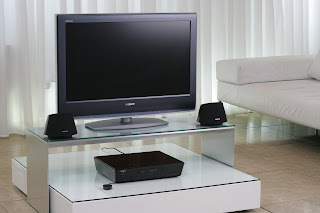 The ultimate designer home cinema system for great AV performance combined with minimalist style. So you want superb surround sound and breathtaking viewing, but don’t want to spoil the clean lines of your room? Sony has the answer in the sleek, chic DAV-X10 system, combining gloss-black understatement with invisible ‘light to the touch’ controls, and delivering amazing sound all around you from just two small speakers and a compact hideaway subwoofer. The DAV-X10 is packed with Sony technology to make set-up and operation as simple as possible, and it’ll even talk to your Sony Ericsson WALKMAN® phone via Bluetooth, allowing you to play your personal mobile music collection with room-filling clarity and power. 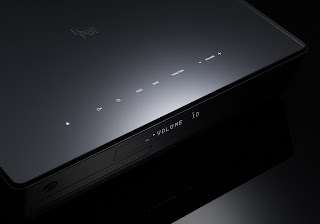 And if you think even the most stylish home theatre systems mean cables snaking round the room to feed different speakers, the DAV-X10 has another surprise in store: it delivers virtual surround sound from just two compact speakers, thanks to Sony S-Force PRO Front Surround technology. Home cinema systems should deliver great sound without taking over the room, but because the DAV-X10 is so desirable, it’s likely to become a major talking point. That’s all to do with the sophisticated design of the main unit with its sleek black contours and glass top panel containing hidden controls. Touch the system and the control buttons light up, allowing you to operate the system’s functions; and when you’ve finished, they fade down again, leaving a pure, uncomplicated design you’ll be proud to put on show. Add in the appeal of the small main speakers and subwoofer, plus the magic of surround sound without needing speakers all around the room, and you have a system for the truly design-conscious, without any compromise on performance. The Sony DAV-X10 is available from September. I like this blog and i deposit my blog.Sell gps and running shose.Wellcom to my blog everyone.Thank u so much.